Full color SPAM® Can on front of cooler. 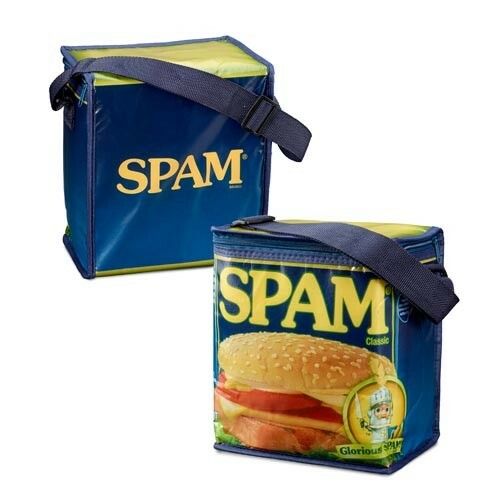 SPAM® Brand print on back. Adjustable shoulder strap. 9"X6"X10"